GU began its life as a way to amuse my guild mates. 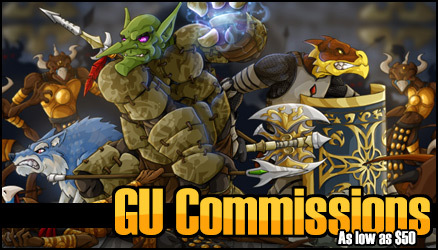 Hence the "GU", as the command /gu was how you spoke to your guild in game. 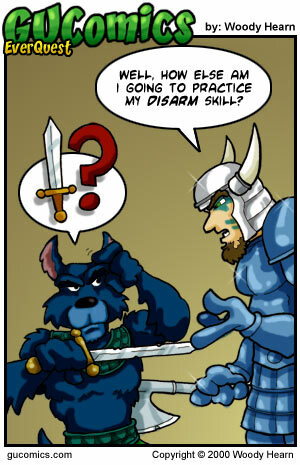 To that end, early on in EverQuest you increased certain skills through repetition. Playing a Barbarian running through Blackburrow was a necessity to get out into the larger world. So, in order to get my disarm skill up, I found a gnoll in a relatively safe place in Blackburrow. I would hand him a crappy sword, and practice disarming him until he died, loot the very sword I'd just given him, wait for him to respawn, and repeat the process.